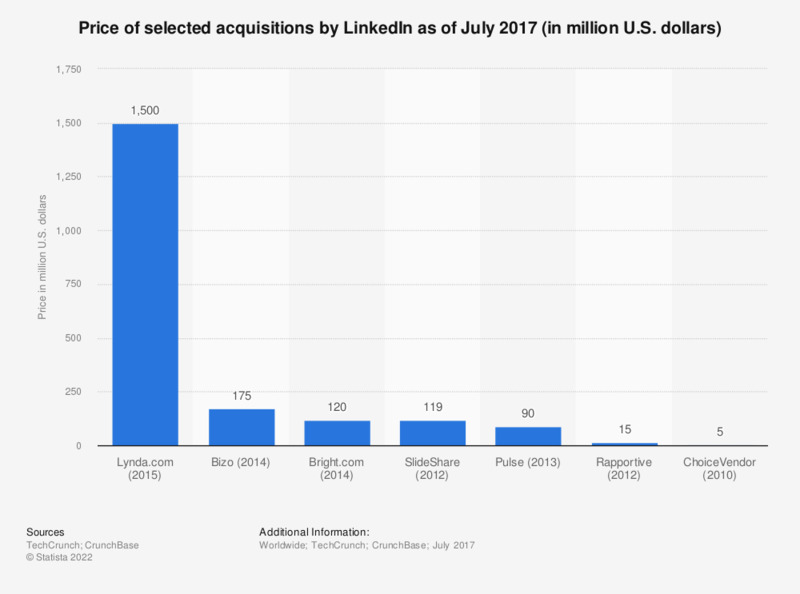 This statistic shows a selection of companies LinkedIn has acquired since 2010, and their respective acquisition price. In July 2014, the professional networking company acquired marketing platform Bizo for 175 million U.S. dollars. The company's most expensive acquisition was online learning company Lynda.com for 1.5 billion U.S. dollars in April 2015.